In many urban and suburban areas, Christmas trees are collected from curbside during the first 2 weeks in January. Be sure to remove all remove all lights, wire, tinsel, ornaments, nails, stands, other NON-Organic decorative materials and other materials that are not part of the original tree. This includes tree stands also. Flocked trees are usually accepted, but not artificial trees. Large trees (larger than the standard 6 - 7 ft tree) may need to be cut in half to be acceptable by your garbage hauler. But scrroll down this page for more specific information and local links. What happens to the trees? In most cases, the trees are chipped and made into a mulch which is usually made available, free to city or county residents. Important: Never burn your Christmas tree in a fireplace or wood stove. Burning the tree may contribute to creosote buildup and could cause a chimney fire. Tips: Always follow the links (usually the name of the city or county) below for updated information, as these agencies often wait until the last minute to change dates or update their information (it's government, remember?). If your area is not specifically mentioned below, contact your trash collection agency and inquire! Click here for the list of winter sleigh ride locations! See our easy recipes to make a Chocolate Yule log and click here to make your own low-fat, low calorie but delicious Egg Nog ! Then come back to our other website in March to find a local Easter Egg Hunt for your children ! If you do not find your area below (which is unlikely, this is a fairly comprehensive list), click here to contact your city or county's recycling coordinator directly. Alameda County - provides curbside pick-up of Christmas trees and yard-trimmings. Call the county's recycling hotline at 877-STOPWASTE or find your city's specific recycling program. Contra Costa County - (complete city - by city listing) Also, RSS customers see this page (look about halfway down the page) - Most cities in Contra Costa pick-up Christmas trees curbside. City of Corona - For two weeks after Christmas (through Friday, January 8), your discarded Christmas trees can be recycled curbside by placing them inside your green waste barrel or simply alongside the curb on trash day. The collection of trees for recycling is free. Please prepare your trees by removing all decorations including tinsel, lights, ornaments and tree stands. Flocked trees will be collected but cannot be recycled. Please do not place your tree in a bag or a net sleeve. Also note, trees over six feet tall must be cut in half. For more information, please call Waste Management of the Inland Empire at (800) 423-9986. Corona WM will collect and recycle Christmas trees for the first two weeks following Christmas on your regular collection day. Trees longer than FIVE (5) feet must be cut in half. Please remove all tinsel, metal ornaments and metal stands from trees. Flocked trees will be collected but cannot be recycled. Curbside pick up - Residential customers can set out bare Christmas trees at the curb during their regular yard waste pickup week. The tree must be cut down to 3-foot lengths and bundled with twine or string. Each bundle must be 18 inches or less in diameter. Place the bundles next to your yard waste cart. Take your tree: Bare Christmas trees will be accepted at the Transfer Station, located at 4100 Throwita Way, Placerville, from January 2, to January 15 during regular hours. The Transfer Station is open daily from 8 a.m. to 5 p.m. There is no charge for tree drop-off during this twoweek period. You can also recycle holiday wreaths and greenery. Please remove wire, hooks, bows, and other decorations. The greenery can be placed into your yard waste cart or delivered to the Transfer Station in Placerville or, if you are a resident of Cameron Park or El Dorado Hills, to the El Dorado Hills Recycling Center. Collected trees and greenery are turned into mulch, compost, and ground cover. - Check with your Community Services District (CSD). Some of the CSD areas will provide tree chipping events after the holidays. Residents of Cameron Park Community Namiroz | iStock | Thinkstock Services District may drop off Christmas trees between December 26th and February 14th at Cameron Park Lake, 2989 Cambridge Rd, in the lower paved parking lot (look for signs). The park is open every day from 7:00 a.m. to dusk. Trees may be dropped off free of charge. These trees will be chipped and recycled. Please be sure to remove all lights and decorations. If you need assistance, or just do not have the time, please use the Boy Scouts troops 550 and 700. They will be leaving information on your door. Remove all ornaments, decorations, buckets, bags, stands, bars, nails and most tinsel. Flocked and trees coated with fire retardant are acceptable. Cut trees greater than eight feet tall in half. Place the tree at the curb or in the alley for pick-up on your refuse collection day. Single Family Homes: Place trees next to refuse on service day. Multi-Family Residents and Businesses: Place trees together in the parkway by 7 am of the collection day (beginning at 7 pm the night before); Do NOT place Christmas trees in refuse collection rooms. 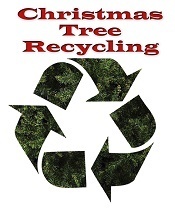 Give the Earth a gift by recycling your Christmas tree after the holiday season. The Integrated Waste Management Division has an easy, convenient and free program to recycle Christmas trees from January 2, 2017 through January 20, 2017. Call the Integrated Waste Management Division at (818) 548-3916 or view/download the Daily Collection Areas to determine your refuse collection day. To see the map of the collection area schedule days, click here . PLACE the tree pieces inside the green bin for regular pick-up on collection day. 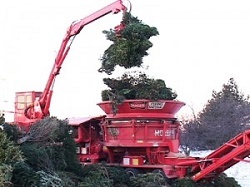 Collected Christmas trees will be recycled into compost and mulch. Residents of multifamily buildings (Multi-Family Residential Recycling Program Participation (MFRRP)) are requested to place their Christmas trees at the curbside on the collection day in your neighborhood..
Los Angeles County area - See this page dedicated to Christmas tree recycling in Los Angeles (County) . There's too much to fit here, see the separate page. Marin County - picks up Christmas trees through the month of January on the day it normally collects yard waste. Trees over 6 feet tall, call 415-485-5646, or bring the tree to the Marin Resource and Recovery Center. Many local fire stations also collect Christmas trees. Larkspur, Greenbrae, Kentfield, Las Gallinas Valley, Ross, San Anselmo, San Rafael, Fairfax, and Ross Valley (Sleepy Hollow and Oak Manor) : Trees will be collected at the curb on your regular yard waste pickup day during the month of January. One pickup per residence. If trees are greater than 6 feet in length, please cut them in half. Remove all metal stands, plastic tree bags, and ornaments. Flocked trees will not be accepted. Napa County - and also see this Boy Scouts-sponsored curbside Christmas tree pickup! Recycle your old Christmas lights at our Napa office in December and January. Click here for year-round options . The annual Napa Valley District Boy Scouts Christmas Tree Pickup and Recycling Day comes to Napa on the Saturday, January 6th, 2018. Please have your tree on the curb by 9 am on Saturday morning. Please DO NOT set out your tree earlier in the week, since tree collection will not take place until Saturday. Trees must be free of ornaments, nails, tinsel, stands, and metal spikes. All are contaminants or safety hazards. A voluntary donation of $10 per tree is suggested and appreciated. Please do not leave money on the tree! Boy Scouts will come to your door. Please leave a check made out to "Boy Scouts of America" in an envelope at your door. Please note: Customers in Napa County who miss the January Boy Scout tree pickup may place their tree out for collection on their normal service day beginning the following Monday. Please follow the above tree preparation guidelines and cut trees over 8′ in half. Flocked trees are accepted. Wreaths, pumpkins, and other holiday greenery go in the compost cart. At our Napa Recycling and Composting Facility, we turn all your holiday greenery into compost, mulch or fuel for renewable energy. Riverside County - Most areas have a curbide pickup service. Most trash haulers will collect Christmas trees curbside for two weeks after Christmas if you put the stripped tree, cut into 4 ft lengths, next to the green waste container on your regular pick-up day. Waste Management says "We will collect and recycle Christmas trees for the first two weeks following Christmas on your regular collection day. Trees taller than six feet must be cut in half. Please remove all tinsel, metal ornaments and metal stands from trees. Flocked trees will be collected but cannot be recycled." If you would like more information on this program, please call Riverside County Waste Management Department (951) 486-3200 or visit the website at www.rivcowm.org . City of Sacramento residential yard waste customers can place trees in the street for pickup as part of the City's Leaf Season service. Leaf Season collection occurs November through January. The last day that trees, or any yard waste, can be placed out on the street for collection is at the end of January . Residents can find their estimated collection dates on our calendar. Trees should be clean of all lights, tinsel, tree stands, nails, and decorations. Flocked trees will be accepted. If you miss the citywide tree collection, you can put your tree in your yard waste container. Please cut the tree into pieces that will fit completely into the container with the lid closed. Sacramento County Recycle your Christmas tree for free. Call for this years dates (they rarely publish them online) 916-875-4047. Limit 5 trees per vehicle*. Please remove ornaments, tinsel, lights, tree stand, and nails. Flocked trees will be accepted. San Diego County - Annual Christmas Tree Recycling Program from December 26 through January 23rd. This year's program will provide 16 drop-off locations available to residents only. 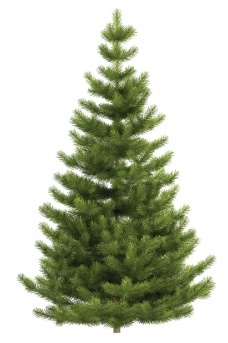 To recycle a Christmas tree after January 23rd, see the Miramar Greenery which accepts trees throughout the year. Curbside collection (For residents with yard waste collection only): Manual container customers using their own bins should place trees on the curb for collection on your regular greenery recycling pickup day. Trees over four feet in length should be cut in half. Automated container customers using the large, green 96-gallon bin provided by the city should cut their trees to fit into the automated container for pickup on collection day. Both green and flocked trees (fake snow) are accepted. For Greenery, curbside, and drop-off sites, all tree stands, lights, ornaments, tinsel, and other tree decorations must be removed. No artificial trees. Please do not illegally dump any other items at the drop-off locations. Both green and flocked trees (fake snow) are accepted. For Greenery, curbside, and drop-off sites, all tree stands, lights, ornaments, tinsel, and other tree decorations must be removed. No artificial trees. Please do not illegally dump any other items at the drop-off locations. Christmas tree recycling fliers: PDF in English ; PDF in Spanish . San Francisco - See this page for much more information about recycling your Christmas tree in the San Francisco area! Also see the Sunset Scavenger Curbside Program , San Francisco, CA 94134. Phone: (415) 330-1300. Open: Please call for their curbside collection schedule. San Francisco Residents can also be taken to the Haight-Ashbury Neighborhood Council until January 17, or Recology Golden Gate and Recology San Francisco until January 15. San Mateo County - curbside collection of trees through January. Each city has different pick-up days and times, click on the link at left to check their listing to find yours. There are also six recycling centers that will accept trees. Allied Waste of San Carlos, and Ox Mountain Landfill will accept "flocked" trees, those with artificial snow on them. Flocked trees cannot be composted at other facilities. Do not bag your tree. If you do, it will not be recycled. Place trees at the curbside on your regular yard waste or compost service day. Remove stands, lights, tinsel, ornaments and other decorations. Cut them into shorter lengths if they are larger than the lengths specified below in the how to prepare column. Multi-family residents must call Customer Service to arrange a location on site for tree pick up. City of San Mateo: Christmas Tree Pick-up: Trees can be picked up on your regularly scheduled service day from December 26-January 31. All decorations and stands must be removed before they can be collected (flocked trees are okay). Please place trees next to your compost cart. Trees over eight feet must be cut down to shorter lengths. After January, trees must be cut down to fit in the compost bin with the lid closed for collection. Santa Barbara County - Please remove all ornaments, tinsel and stands before recycling. Trees with stands and flocked trees cannot be recycled and will not be accepted. Please cut trees over 6 feet in half. Customers of MarBorg Industries may place trees next to their trash containers or in or next to their green waste containers on their designated collection days. For questions, please call (805) 963-1852. In the City of Carpinteria, customers of E.J. Harrison & Sons may place trees in their green waste containers on January 11th or on their regular green waste collection day thereafter. For questions, please call (805) 647-1414. Owners and managers of apartments, condominiums, and mobile home parks should contact their waste hauler for Christmas tree recycling details. Customers of Waste Management should put their Christmas tree out by 6:00 a.m. on collection days from January 2nd through 6th or on collection days thereafter. The tree should be placed at least three feet from their trash container or cut to fit inside their green waste container For questions, please call (805) 242-7937. In the City of Buellton, customers of MarBorg Industries may place trees next to their trash containers or in or next to their green waste containers on their designated collection days. For questions, please call (805) 963-1852. The locations on this page accept Christmas trees for free during the holiday season. If you don't have trash service or would like to get rid of your tree earlier than the collection date for your area, take it to one ofthese locations:: Click here for locations, updated information and more details. Santa Clara County - Mountain View will pick-up curbside trees from Christmas Day through January 27th from single-family properties. Recology (PDF) will pick-up Christmas trees in Cupertino throughout the month of January; trees cannot be larger than 5 feet tall. Gilroy will pick-up Christmas trees that are cut into three-foot pieces. Check your October bill for specific dates. Los Gatos will collect Christmas trees under 6 feet on normal collection days. For more information call West Valley Collection and Recycling at 408-283-9250. Other cities have yard-trimming programs. Santa Cruz - (county website) but there's more information here. In theCity of Santa Cruz Holiday Trees are accepted three ways, all FREE. Always remove all ornaments, tinsel and tree stands. No flocked trees! - Curbside - Pick up service runs from January 1 through January 14th. Place your tree next to your cart on your regular service day. Allow a two-foot clearance from the carts. Trees must be six feet in length or less, so cut accordingly. - GreenCycle! cart - Trim branches to fit into the cart with the lid closed so the material slides out when serviced. - Drop-off - Take your tree to the GreenCycle! area at the Resource Recovery Facility through the month of January. Santa Rosa County - takes Christmas trees for recycling until Janaury 16 at the locations below. The trees will be chipped into mulch, which will be available at a date to be announced through Keep Santa Rosa Beautiful in Milton. Clean Community System/Green-Up Nursery, 6758 Park Ave. in Milton. Jay Transfer Station on Transfer Station Road in Jay. Pace Volunteer Fire Department at 4773 Pace Patriot Blvd. in Pace. Navarre Beach Boat Ramp Parking Lot Recycle Area on Gulf Boulevard in Navarre Beach. Tiger Point Recreation Area in Gulf Breeze, east of Walmart. Free recycling of electronics is available at the Central Landfill's Household Hazardous Waste Center at 6337 Da Lisa Road in Milton. Solano County - Most cities in Solano County have curbside pick-up on specific dates in early January. Find your town's dates. Programs take place during the end of December and early January each year. Watch for details in your local newspaper. Recycle your old Christmas lights at Napa Recycling & Waste Services 820 Levitin Way - American Canyon 707 255-5200, Daily 8 am-4pm (Closed Holidays) . California Christmas Tree Recycling - has a service for which you must pay - Click here there to reserve your pick-up online with this easy form. They say they will contact you within 24 hours with a confirmation and price quote. or Call today to book your 4 hour time slot. Los Angeles (310) 584-6589 San Fernando Valley (818) 986-1300 San Diego County (858) 433-0359 Prices start at $25 and go up with the size of the tree. Note about Monterey Pine disposal: take precautions when disposing of your Christmas trees this year to help control the spread of pine pitch canker, an incurable disease that has killed thousands of Monterey pine trees. Pine pitch canker, a fungal disease recently introduced to California, causes dieback and mortality in native and ornamental pine trees. It may also infect Monterey pine Christmas trees. While every attempt is made to sell only disease-free Christmas trees, some trees could harbor the disease without showing symptoms. Since there is no known cure for pitch canker, limiting its spread is the key to prevention. The disease is present in 16 coastal and adjacent inland California counties from Mendocino to San Diego. Bark beetles, which carry the fungus, primarily infest Monterey and Bishop pines but also feed and breed on inland forest trees such as Ponderosa pine. As yet, the disease has not been found in the Sierras. It does not infect humans, pets or other plants.